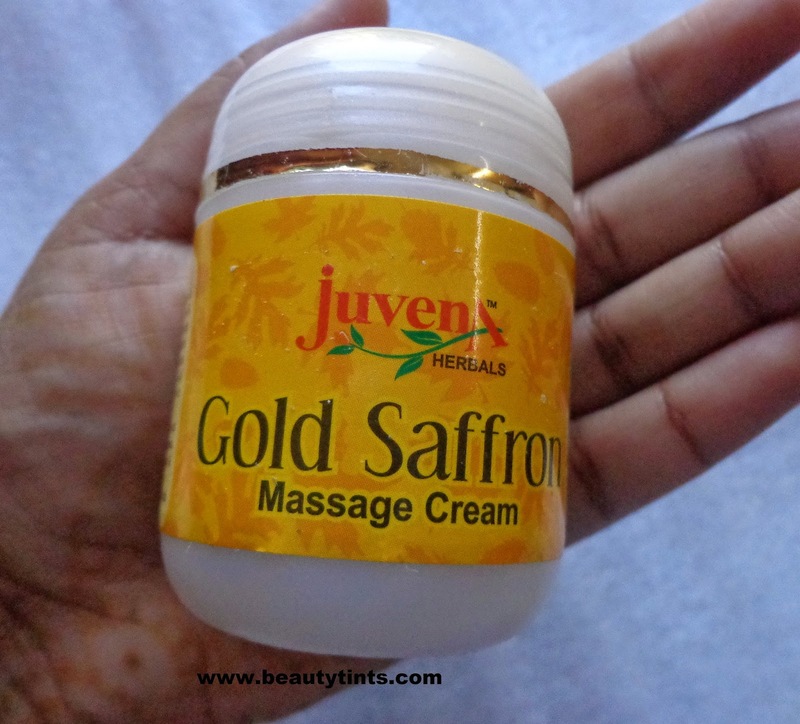 Today I am reviewing one more wonderful product from Juvena Herbals which is their Gold Saffron Massage Cream which is a powerful rejuvenating and complexion enhancing cream. Color and Texture : This is a pale yellow colored soft cream with a 24 K gold leaf. 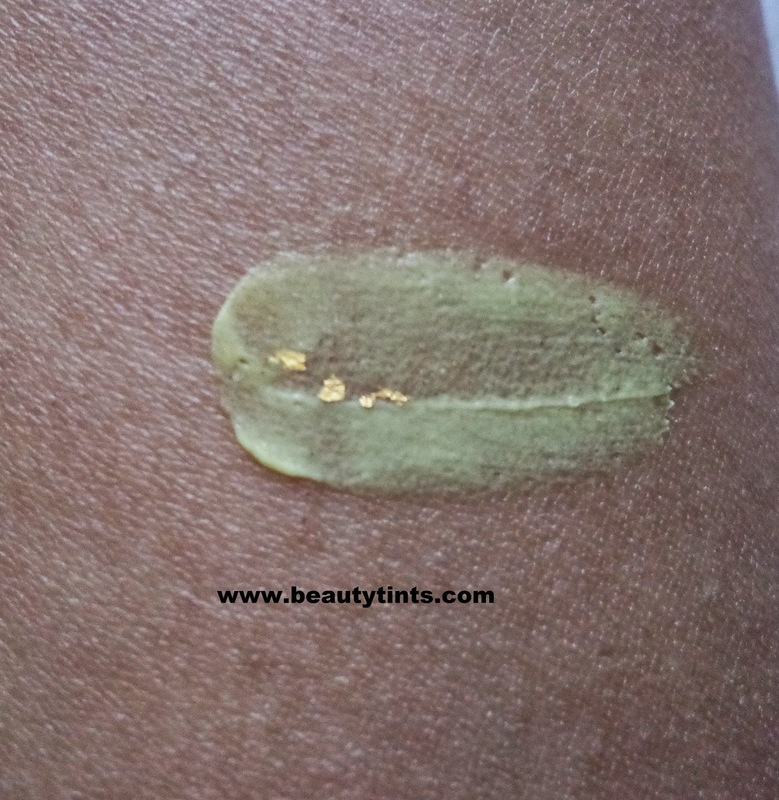 How it Works : A powerful rejuvenating and complexion enhancing cream. 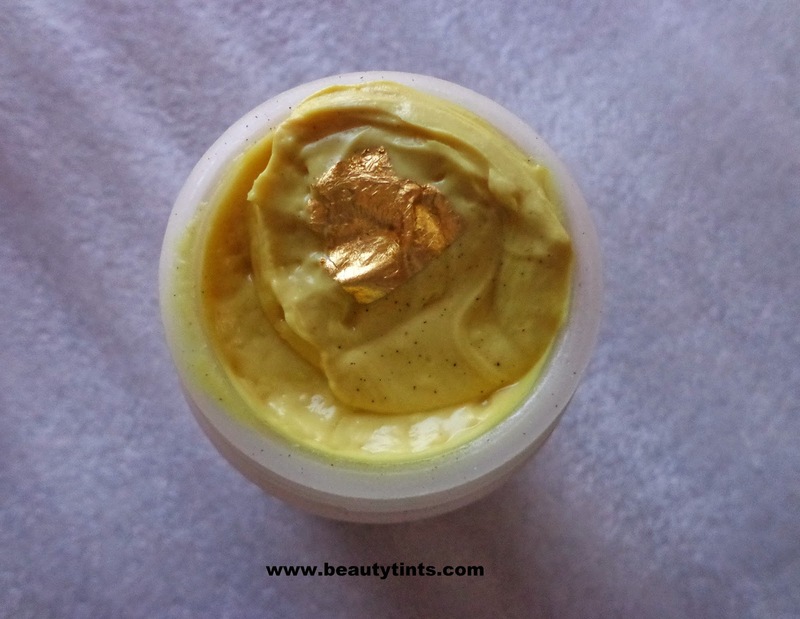 Gold, Saffron and Turmeric accelerate the regeneration of cells and skin fiber (collagen), easing out fine lines and giving good glow with visible firmness. This exclusive beauty product is rich in milk protein, honey, madhu mom, vit A and E which give resilience and proper nutrition to skin.It shows good result in fading up of melasma. On First use: 100% of users achieved satisfaction. In just one week: Upto 98% of users achieved improvement in skin texture and firmness. In about 4 weeks: 100% of users expressed happiness and satisfaction with improved results. Our guarantee: pure Gold is used in this product. It can be lab tested. 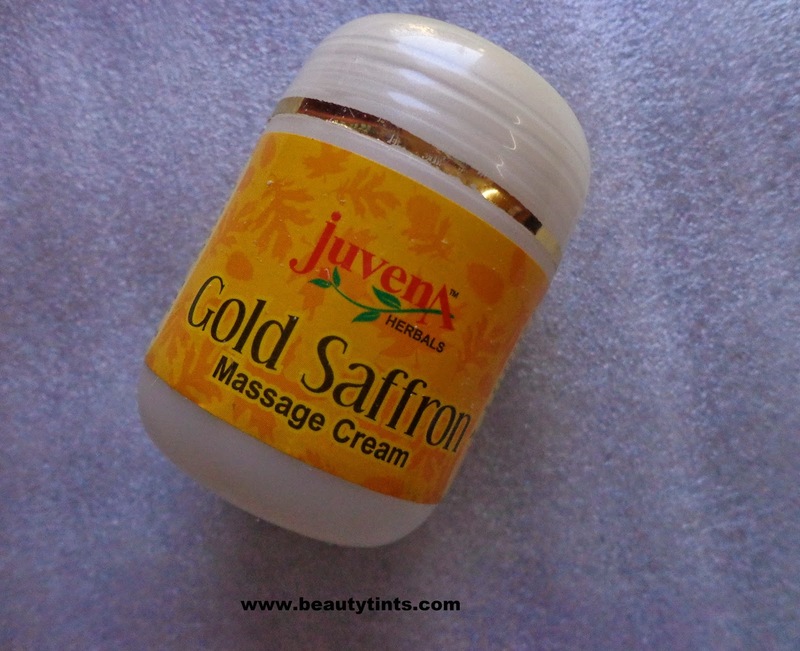 Ingredients : Milk Protein, Honey, Madhu-mom, vit E and A, 24k Gold leaf, Saffron paste and Turmeric oil, Papain. 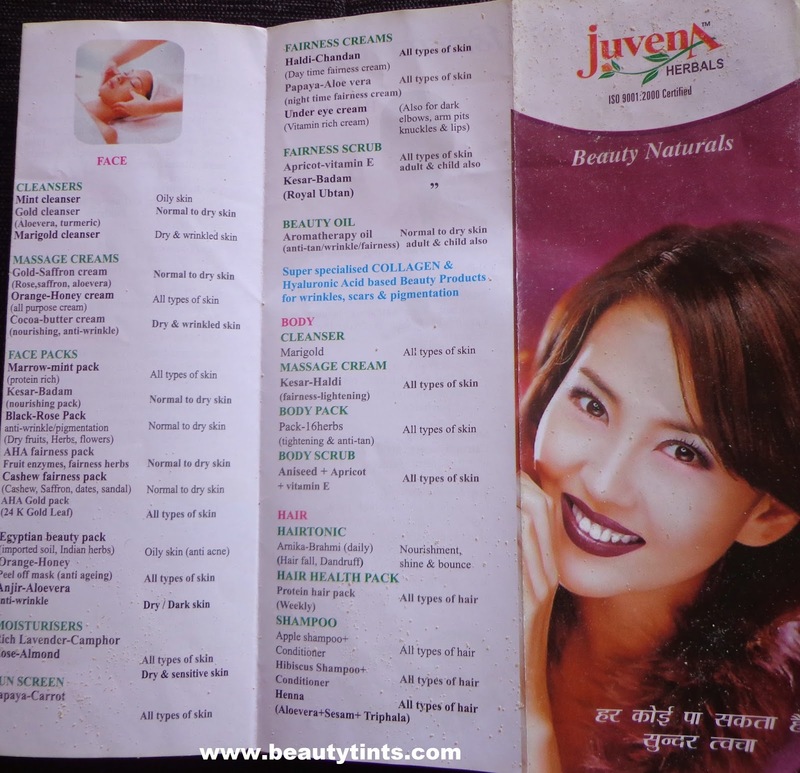 Usage : Clean skin with Juvena marigold or Gold Cleanser.Apply uniformly all over face & neck leaving under eye area.Massage in upward and circular motion for 8 to 10 mins & wash off. My View On the Product : I have been using this for more than 3 weeks for now, on every alternative day as per mentioned.It can be used every day but I am a bit lazy so using it on alternate days.With in 1 week after using this,my skin became super soft and radiant.Every one started complimenting for the glow on my skin.On continuous usage for 3 weeks, it helped in lightening the skin to a great extent.I have already completed almost 3/4 th of the tub and it gets finished in the next week or so.I will be surely re-purchasing it soon.It suits dry- combination skin well.It may not suit oily skin.It contains the pure extracts of gold,for which the brand gives the Guaranty!!! 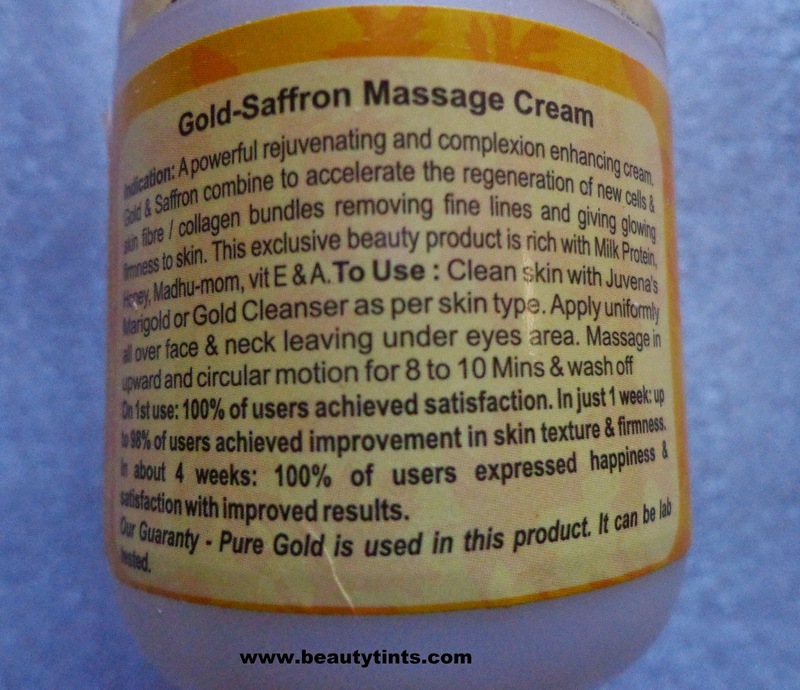 In addition to gold it also contains Saffron and many natural ingredients like milk,honey etc.,,which are known ingredients for lightening the skin tone.It also claims of making the skin firm on continuous usage.It is made from organic ingredients and is free from parabens and harmful chemicals.The added benefit of this cream is that it can be doubled up as a night cream,I tried both ways and it worked fine.It is quite affordable for the result it gives. 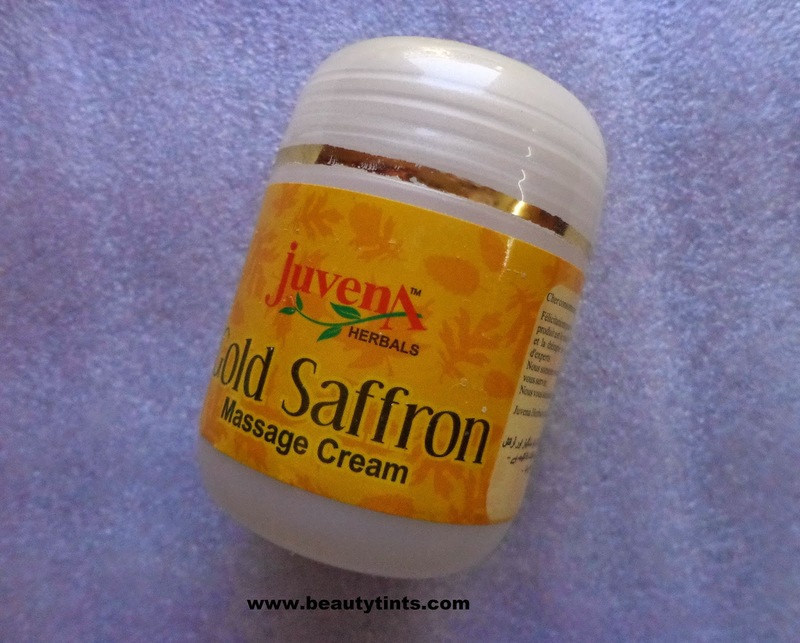 Final Conclusion about Juvena Herbals Gold Saffron Massage Cream : Those who are looking for a good massage cream which helps in making skin smooth and radiant at an affordable range, should give this a try for sure.Highly recommended for dry to combination skin. Have you particpated in the Blogversary Giveaway yet? If not participate here.